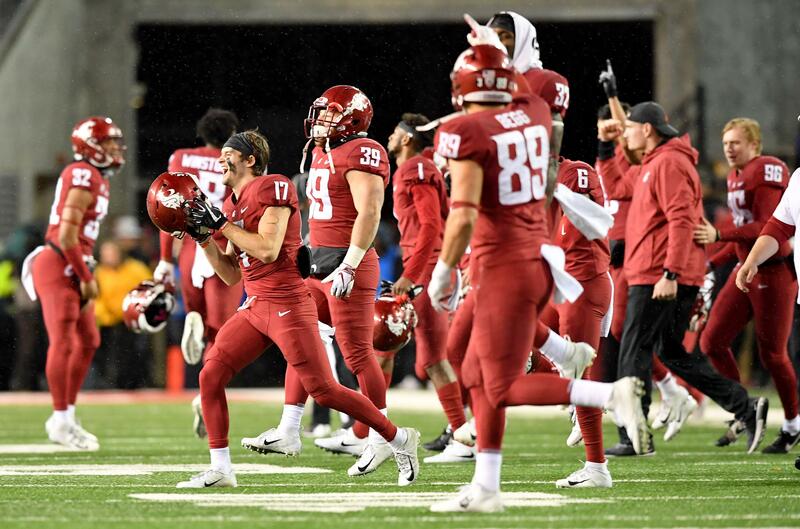 UPDATED: Sun., Feb. 3, 2019, 6:48 p.m.
PULLMAN – Mike Leach and the Cougars received a commitment from a high school defensive lineman on Super Bowl Sunday. Nicholas Sheetz, a 6-4, 255-pound defensive end from Greenwood, South Carolina, announced his verbal commitment to Washington State on Twitter. Sheetz doesn’t list any other Power Five offers, according to 247Sports, but held other FBS offers from Air Force, Georgia Southern, Georgia State, Middle Tennessee State, Tulane, Troy, USF and Western Kentucky. The Cougars are only expecting to sign a handful of players this Wednesday on National Signing Day after inking 20 during the early signing period in December. The early signing class included two defensive linemen – Cosmas Kwete and Tyler Garay-Harris – but the Cougars had initially expected to bring in four. Nassir Simms decommitted from WSU and USC proceeded to flip another defensive tackle commit, Dejon Benton. Sheetz, an all-league and all-region defensive end at Emerald High in Greenwood, will fill one of those vacancies. Currently, the Cougars have only one other hard commit – junior college offensive tackle Jimmy Price – expected to sign a letter of intent on Wednesday. Published: Feb. 3, 2019, 11:31 a.m. Updated: Feb. 3, 2019, 6:48 p.m.